I'm like so late with this, but just found it and loving it. 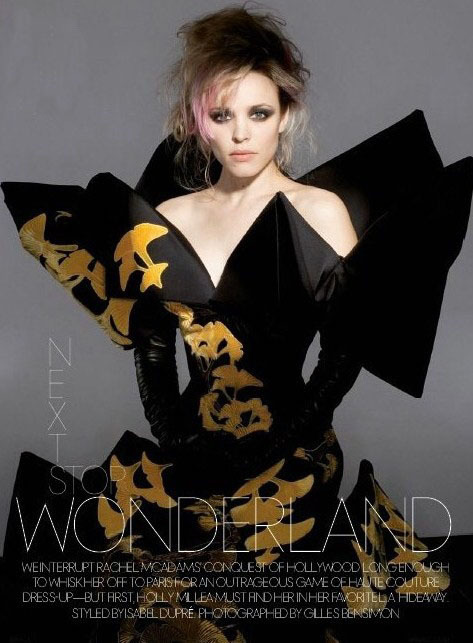 Rachel McAdam's ELLE magazine spread of April 2007 is stunning; she looks phenomenal in couture, but I'm not loving the shots where she's in more simple outfits. Rachel McAdams is now an international star, with upcoming films Morning Glory, The Vow, Midnight and Paris and a Sherlock Holmes sequel in the works; all of which I am excited about!